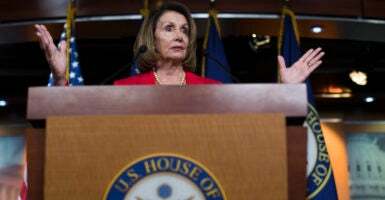 During the 2018 election campaign cycle, nearly 60 Democratic House candidates and incumbents said they would not vote for Minority Leader Nancy Pelosi of California to become speaker again if their party retakes control of the House. Dozens of other Democratic candidates declined to give a definitive answer when asked if they supported making Pelosi speaker again. Nevertheless, most analyst predicted she would take the speaker’s gavel in January if party control flips. Pelosi served as the first female speaker of the House for four years after Democrats captured the House of Representatives in 2006, until Republicans took it back in the 2010 midterm elections. But she has been an unpopular figure with moderates, and even many Democratic party progressives have called for new leadership. Democrats can’t turn their back on Pelosi after a victory, said Bill Press, a former chairman of the California Democratic Party. She will face some skepticism from members, but at least for now, she’s safe, Press said. 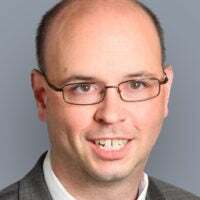 The Democratic members who told their constituencies they wouldn’t vote for Pelosi do have an exit, said Quentin Kidd, director of the Wason Center for Public Policy at Christopher Newport University. Pelosi will also have a means to shore up the progressive base in her party. He added that Republicans will gleefully continue to use her as a target of their demonization. “Pelosi has already been the foil, showing up in most Republican commercials, and she hasn’t been speaker for eight years. Being speaker would legitimize her position as a foil,” Kidd said.